It’s June here in Modesto, CA. 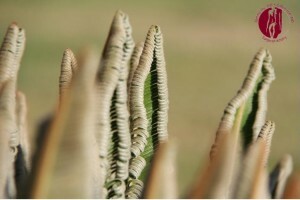 In my backyard, I have several Sago palm trees which are developing new leaves. 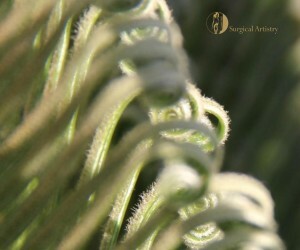 These new leaves are very soft – very much like the new skin that is encouraged to grow via microdermabrasion. 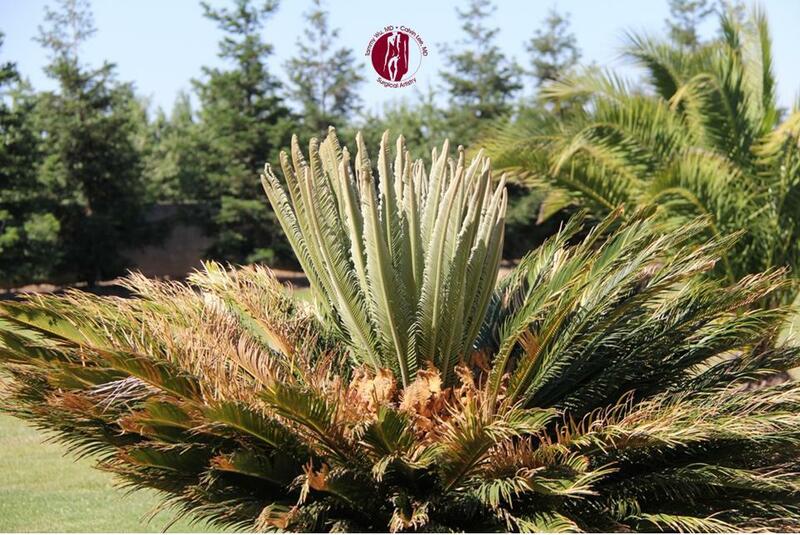 Perhaps the same analogy could be made for old skin before microdermabrasion – it would be like the older leaves on the plant which are somewhat rough and prickly. 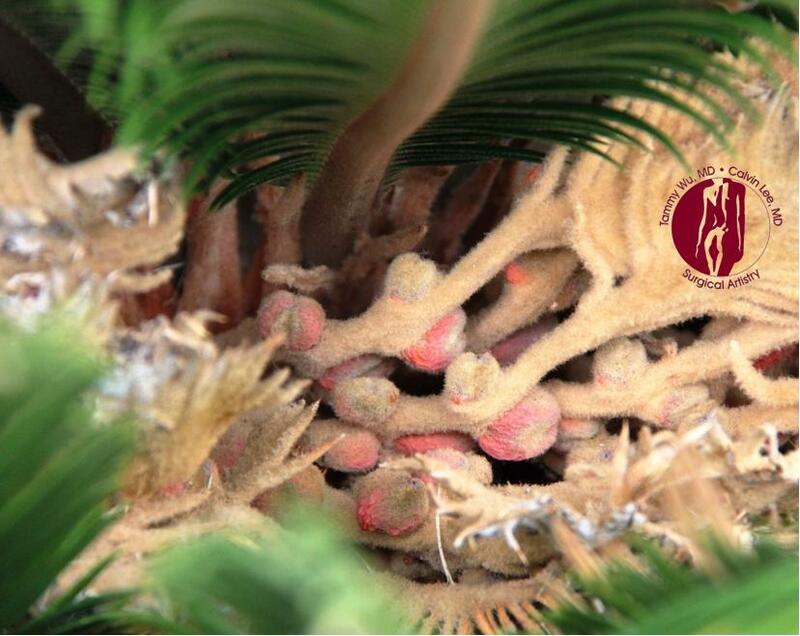 New growth from our Sago Palm. The new leaves are soft to touch, just like the new skin that is encouraged to grow after microdermabrasion. 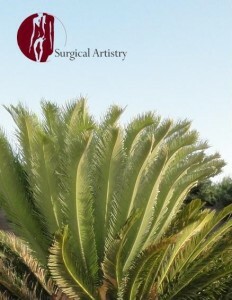 This is the same Sago Palm tree as above. The new leaves are almost opened up completely. At this point the new leaves are still very soft and silky to touch. Below pictures are closer up pictures of the new growth on the sago palm tree. These pictures are in between the stages of the first and second picture. 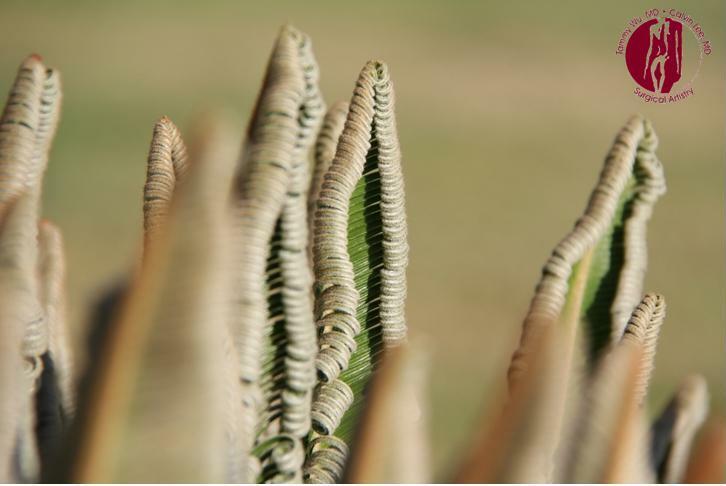 The pictures below show how the sago palm leaves uncurl. It has a scroll like appearance – somewhat like the scroll head of a violin. Learn more about microderm in Modesto, CA. 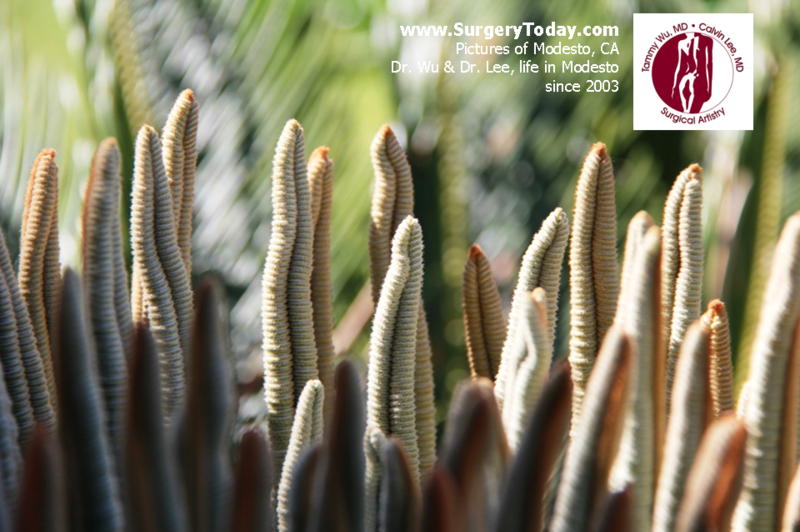 This entry was posted in microdermabrasion, Modesto and tagged growth, new leaf, palm, sago, uncurl on June 7, 2013 by Calvin Lee, MD. Summer time – that also means SunScreen time! I consider sunscreens even more important than Botox for anti-aging. And of course there’s no reason why Sunscreen and Botox can’t be used at the same time. Sunscreen vs. Sunblock: Sunscreen is the modern term. The term Sunblock seems to be going out. It’s considered to be somewhat misleading because the term “block” implies total protection. Sunscreen is used in place of sunblock these days. A while ago, sunscreen was used to talk about chemical sunscreens and Sunblock was used to describe the ingredients titanium and zinc. Both are ultraviolet light spectrums – which are really part of a singular continuum. But for the sake of categorization, UVA is longer wavelengths than UVB. UVA has more penetration ability. Both aren’t entire good for your skin in regards to aging and cancers. So you want to shield from both. 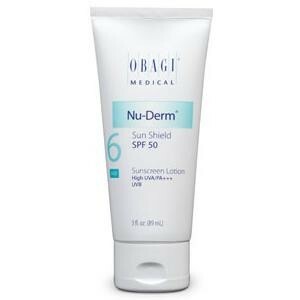 SPF unfortunately only reflects UVB blocking ability. I like the idea of mineral sunscreens where it doesn’t form a chemical compound with your skin and that it works more like a mirror. But if you really dislike ultraviolet light damaging your skin, consider both. My favorite is Zinc Oxide. Here’s the Chart for Sunscreen active ingredient and it’s action against UVA and UVB. I found this wonderful chart on the internet. I’m not sure of the source and I’ve seen it repeated in several different places. I had to write this blog just so that I could have a copy of this picture somewhere so that I could refer to it when talking about Sunscreen. As you can see from the chart, it is easy to have Zinc Oxide as your favorite because of its broad spectrum. What about Vitamin D from the sun? They basically recommend oral supplementation of vitamin D.
After a Microdermabrasion or a chemical peel, we recommend that patients protect their skin with a zinc oxide sunscreens. We also reinforce that with sunscreens, thicker is better – in other words – the strength of a sunscreen is dose dependent. Visit our Surgical Artistry office in Modesto, CA – we have a bunch of sunscreens to choose from. Thank you for reading my little review of my knowledge of Sunscreens. This entry was posted in Botox, Education, microdermabrasion, Skin Care, Wellness and tagged aging, microdermabrasion, sunscreen, vitamin D, zinc oxide on April 29, 2013 by Calvin Lee, MD.